Thanks to Dabbled who shared a tutorial for paper narcissus from Bitter Betty Industries. The Bitter Betty paper daffodils look just like some vintage paper irises I have that belonged to my grandmother. 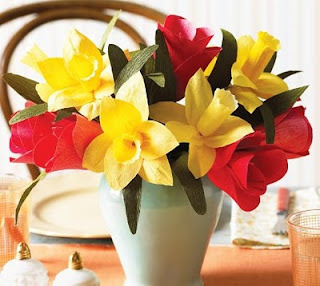 I love the vintage look of these flowers and that the instructions come from a vintage magazine.